The Society’s election will be conducted May 1 through June 1 via online balloting. All members in good standing as of April 1 will be eligible to vote. Gunalan is vice president of alternative delivery at AECOM, where he is a capture manager on major infrastructure projects ranging from $250 million to $2 billion. Previously, he was a vice president for Parson Brinckerhoff. 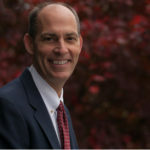 His active membership in ASCE over many years includes leadership roles as Region 8 director (2009-12), Region 8 governor (2005-07), Utah Section president (2002-03), and Texas Section High Plains Branch president (1992). He now serves as a governor for the Geo-Institute and is a member of the Global Strategy Council, the Indian Initiative Advisory Task Committee, and the Key Contact Committee. 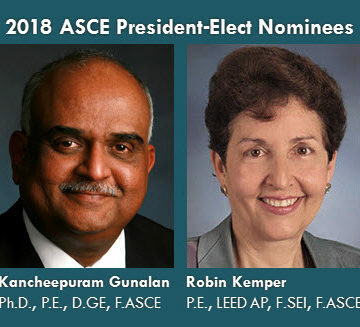 Gunalan received the ASCE Professional Practice Ethics and Leadership Award in 2016. 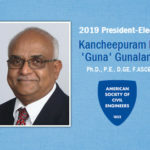 “It is my vision that ASCE stay nimble by taking advantage of emerging technology and tools to enable our membership to continue to enhance their value to the global community,” Gunalan said in his candidate’s vision statement. Kemper serves on ASCE’s Raise the Bar Committee and the Committee on Professional Conduct. She is ASCE’s liaison with the New Jersey Society of Professional Engineers and served as past ASCE representative with Engineers Without Borders USA. Her many Society leadership roles include District/Region 1 director and New Jersey Section president. She also has chaired several ASCE committees, including the Member Communities Committee, EWB Task Committee 3, and the Region 1 Formation Team. In 2015, the New Jersey Section honored Kemper as Civil Engineer of the Year. 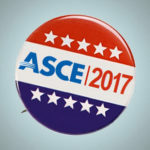 ASCE members also will vote on whether to approve a Society Constitutional amendment that would increase the size of the Board of Direction by one to allow the third Technical Region Director a voting position on the Board. I know both Robin and Guna, two GREAT people, both are ready for the challenge. Study the complete bios and vote you can’t go wrong here! !